"The condition of the so-called freeman was no better than that of the ordinary serfs. If they wanted to part with their lands, they had to pay a fine to lord of the manor. If they wanted to buy any, likewise, they must had to pay a fine. They could not take by succession any property until they had paid a heavy duty. They could not grind their corn or make their bread without paying a share to the lord. They cloud not harvest their crops before Church had first appropriated its tenth, the king his twentieth, the other entities their smaller shares. They could not leave their homes and they were bound at all times to render him gratuitous services…. Such was the terrible misery which hung over the people." Muhammad (pbuh) showed mankind which is the right way and which is the wrong way and explained the benefits and the evils of following both the ways and gave them freedom to choose the way of their own liking without any coercion or suppression. Everyone is left completely free of his or her will to decide his or her destiny and is left free to discuss openly his or her problems and then decide what of the courses to adopt. There is absolutely no restriction or compulsion on anyone in this matter and all are totally free to take any course of their lives. Whatever they decide to folow they are personally liable to face the consequences of all their actions good or bad. This teaching brought all human beings irrespective or their social statuses or professions on the same level as common members of the human brotherhood (Qur'an:19:13) and bestowed equal status to all (Qur'an: 4:11) with complete freedom of thought, expression and belief. (Qur'an: 02:256). 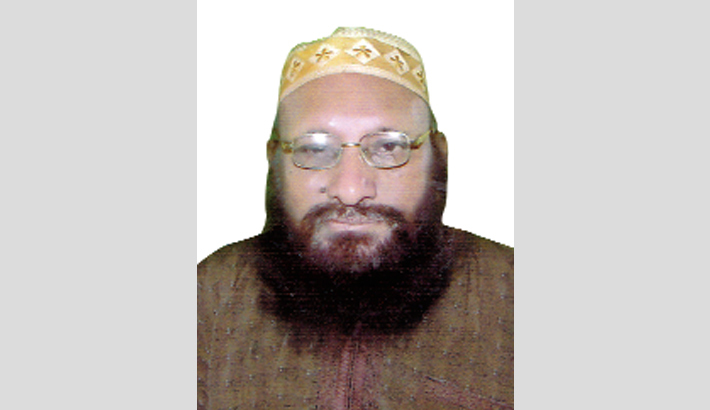 The Writer is an Islamic Thinker and former Director Islamic Foundation angladesh.